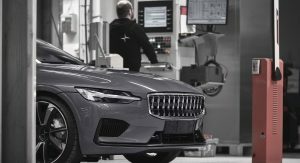 Polestar continues testing the pre-production 1 hybrid coupe, more than a year after it was officially shown to the world. 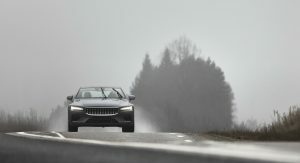 The coupe is in the ‘Driver Experience’ phase, according to Volvo’s performance brand. This means that test drivers and engineers are working together to make the final adjustments. In this case, they revolve around the steering responsiveness and software that controls the torque vectoring. 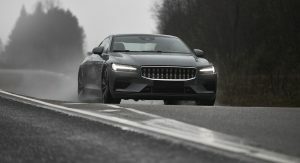 As for the selected environment, it left the 45° banked roads of the High Speed Track behind, as the Polestar 1 was set loose on country roads. 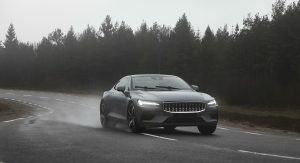 The rain-soaked asphalt proved to be no match for the hybrid coupe, which hit speeds in excess of 124 mph (200 km/h), a necessary asset “to determine just how responsive and predictable it is”, noted the company. 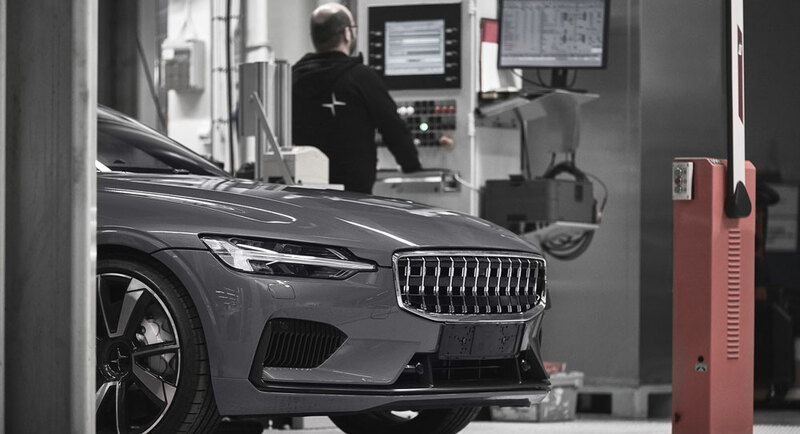 Early next year, Polestar will unleash the first prototypes made in their Chinese facility, located in Chengdu, which is to be completed soon. 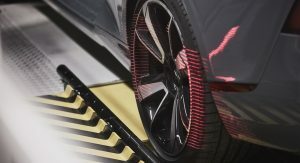 This will mark the final stage of prototype testing, before pre-production cars will be assembled to final specification. Yeah.. my measly mustang ecoboost hits 124 without breaking a sweat..
Is it 1920 to watch just 200km/h!!! Maybe it’s an achievement because it’s handling so well at high speeds in the rain (/on wet pavement)? If so, I think that’s a reason to celebrate. If that’s not the case then I am not completely sure as to what all of the commotion is about. I think we need to think about were in the development process this car is at the moment. It’s not even a beta test. This is a test of a pre-production PROTOTYPE. In that stage, the fact that the car works is a reason to celebrate. Usually, this is when the first blurry images of camouflaged cars will appear in sites like this one. Its nice, but 6 figure nice?? Well it is (either total, or yearly) limited production (to my knowledge, less that’s changed?). I think the high figure is there because it’s more so the exact concept that we were originally shown (apart from the interior which does seem 6 figure nice as far as I’ve seen), and the concept is (successively) a modern interpretation of the classic Volvo P1800. That’d probably explain the hike in it’s price, due to it being a “special” model. (Also consider that Polestar is more so a spin-off company of Volvo, and this is their ‘halo’ vehicle). Volvo seems to be marketing this an not only the Halo vehicle of the polestar company/brand, but also as the ‘spiritual successor’ of the Volvo P1800. In person, and inside, this vehicle may feature Volvo’s design, but to the feel and touch it is most certainly a step/class above. I could be wrong here. 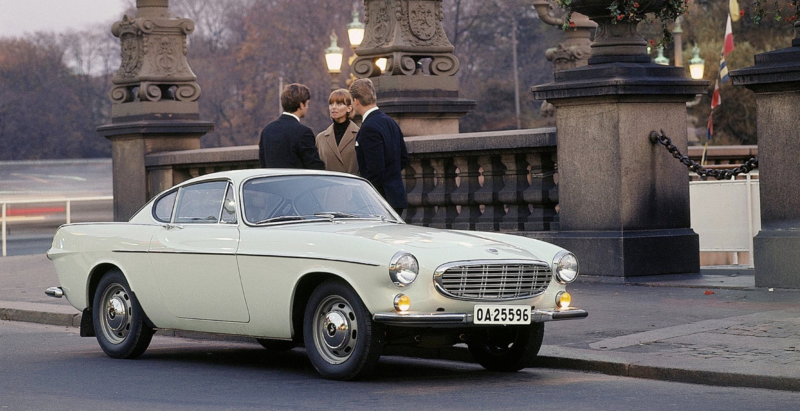 I personally think $155k MAaaayybe pushing it,.. but I am sure there are a handful of people out there who will likely be willing to pay just that much for Volvo’s ‘modern interpretation’ of the classic P1800. It’s a beautiful car.. but not at $155k.. there are more exotic options available albeit not fully electric ..
Well, for those looking for a hybrid exotic GT or sports type car, there aren’t a lot of options. At $155k you are in Porsche gts, nsx, vantage, and Audi R8 territory— all are way cooler, head turning, and thrilling.. oh .. forgot.. they sound great too.. so I don’t see the value proposition here other than it’s fully electric? No it’s not fully electric. Polestar’s other models will be fully electric, but this is a hybrid of sorts. I don’t think it’s purpose is to be a… (sorry, I don’t think I can use words to describe the way the Porsche GTS, Vantage, and R8 sound… mmmm)… well ‘that’ kind of car. This seems more like a calm but fast, and simply relaxed vehicle that also happens to have a bit of power to it. I think it’s $155k price tag is more so for the ‘experience’, luxury, and technological, aspect of it, opposed to the sports. Likely for those who want to (at times) drive electric when they’re just driving from place to place, but who also want a nice and luxurious GT with a bit of power when they want it. 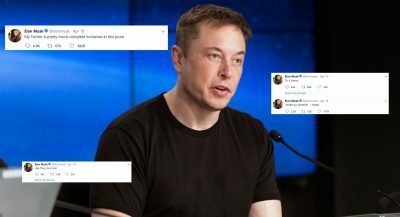 I might be wrong, but that’s my thought on it. Great looker but very expensive for what it is. 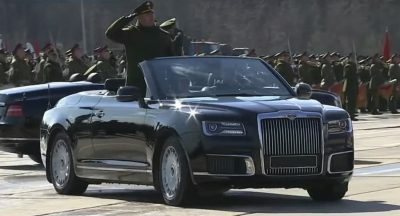 Is this a Subscription only car by chance? 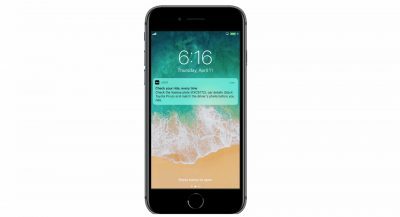 I think they are going to be doing both subscription and full-payment. Originally I think it was subscription only, but it’s seemed that has changed as a number of customers simply wanted to own the vehicle outright. So (to my current knowledge) yes, no worries. Nop… This should still be a Volvo and just looks like a Volvo who was in an accident and lost part of its grille. I hope they address the transmission lag as well as the regenerative breaking so that it feels more seamless. This is a problem on the 2020 S60 Polestar Engineered, and it’s clear both of these cars are very related. How do you test grip by cutting corners!